There is a lot of planning, child-training skills and patience need to flying with a baby. You are going to fly with your baby for the first time and since you have no previous experience then it can be a matter of an anxious or a concern for you. For this reason, you will need a lot of preparation and courage for flying with a baby, especially when your baby’s age is below 1 year. If you can make the right preparation before flying with a baby, then the matter will not be so complicated. The following discussed guide can be very helpful for you. Make your checklist first: It is very important to create a list of essential items before flying with a baby. Include everything from diaper cream to sleeping suit in the list. Then mark any items that are essential and without any other things, a comfortable travel can be possible. Now make your packing list final. Start this task a few days before traveling. It is less likely that the necessary things to be dropped. Time maintenance: Time maintenance is very useful for flying with a baby without trouble. Try to match your flying time with your baby’s nap time. Though the completely new sight along with various sounds of flight may interrupt you can hope for a better chance of your baby’s sleep. You can carry the blanket or other things used for sleeping to give your baby feeling like a home. Chose the best seat: Almost all airlines allow a baby under age of two as a lap baby. That means you will carry your baby on lap at flight and the offer is free. To make flying with a baby enjoyable you choose the window seat if your baby loves to sightseeing. The nice option is to purchase a separate seat use a car seat for a comfortable journey. Because AAP and FAA both are suggesting the child restrained system as the safest place for the baby. Be tricky with your packing: Do the job of packing for your baby smartly. For example, the products are not required for the flight you can order them from the popular online shop in advance and ask them to deliver at your destination. At the beginning of the journey, your luggage will not be too heavy by this. You can include an extra diaper, baby snacks, formula food, wipes etc. Be careful about taking stroller: If you flying with a baby along then a stroller may be a nice carrier for your baby. But you have to apply intelligence to the stroller selection. My suggestion is that if you want to take your child for the first time, then a light stroller will be right for you. Why don’t you have look on GB Pockit stroller review? It will help you take the right decision. Put the necessary things in hand: Keep things near your hand that is essential for the child, which may be needed at the flight. It will be easy to get in the emergency moment. For example, baby’s diapers, wipes, baby food, pacifiers, extra clothes and, medications etc. Besides these, also keep carefully some other useful things such as your personal ID card, plane ticket etc. Take feeding item: Keep your baby feed carefully. It’s very important. According to TSA liquid rules, you can carry formula milk or breast milk for your baby. So pack some extra food for baby in a small separate bag so that you can feed your baby whenever it needs. If your baby is accustomed to breast milk, then you should wear dresses that will help you to feed the baby. Take an extra shawl or blanket for complete protection. Take some small toys: You can take small and light toys for the flight to keep your baby occupied when you flying with a baby. In this case, you may take toys that your baby usually likes to play with. You can take a sensory book and teethers also. Stock some snacks also: If your child is slightly older and can take other meals in addition to milk, then take some snacks also. Children in the empty stomach will never be able to sleep comfortably. So pack some light snacks that your child likes to eat. Many parents do not allow their baby to take the food served at flight, it is more important for them. Give emphasize on making a perfect plan: It is not only necessary for the flying with a baby but also to take any possible action in life, keeping in mind the possible positive and negative issues before the start of the planning, the probability of succeeding in that work is increased. So start planning a few days before the journey begins. Make sure to keep all possible issues in mind. Hopefully, your journey will be enjoyable. Flying with a baby rules often vary from airline to airlines. It may make you confused what should you do or not to do. Here we listed some common points of the airline rules for your better knowledge. Please read carefully before planning your trip and don’t forget to match them with your selected airline’s rules. British Airways– You has just paid the infant fare and your baby can enjoy an individual seat after the baby passes his/her 2nd birthday without any extra charge. Easy Jet– Before 2 years old you can take the baby on your lap with a fee of £20 and after 2 years you have to book a seat for him/her. Baby food: Of course you are allowed to carry more than 100ml baby food like water, milk or formula. ID Cards: Generally it needs but many airlines do not want a document other than a passport. My advice is, you and your child will remain safe during flying with a baby along with ID cards. 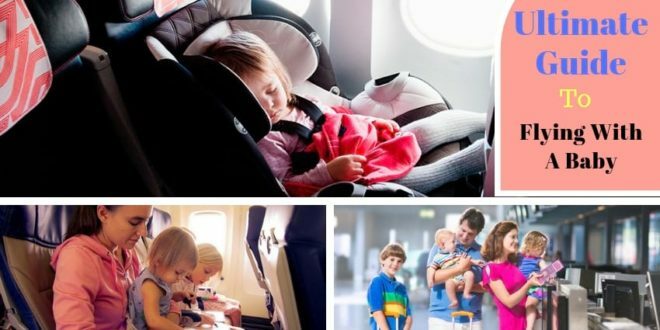 Car seat or lap belt: Some of the airlines provide lap belt and some are not. Collect proper information before fly from your selected airline. Baby stroller: Almost all airlines allow stroller as a general baggage. Before flying with a baby you should make a clear conversation about the rules of your selected airline. As all airlines did not follow the same conditions your previous communications will help you make your journey hazard free. Usually, the baby is called a newborn until the first 3 months of age. The child needs a lot of care during this timeframe. If you want flying with a baby during this period, then it requires special caution. You can follow baby care tips for new moms to take proper care to your baby. Follow the doctor’s advice: Baby does not get accustomed to daily routine at newborn stage and there is also have a possibility of bacterial infections at such a crowded place like flight. That’s why you should take your doctor’s advice before plan about Flying with a newborn baby. Your concern is first: Everything of a newborn is very sensitive to your concerns are very important. Try to keep away the admirers from the baby because it can create a germy environment. Pay extra considerations: You should pay extra considerations when flying. Keep adequate food arrangements for your baby. If the baby depends on your breast milk then wear a dress that is easier to feed the baby. If the infant is formula-fed then don’t forget to bring enough water and bottle with feeds. 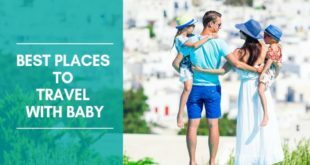 Try to book a comparative less crowded flight: It may not always be possible, but if the flight is relatively less crowded, then your baby will get enough space to spend time. Match the flight with naptime: As the age progresses, the child’s sleep routine is fairly fixed. Take advantage of this issue for flying with a baby. Book the window seat: Outside view can engage your toddler for a long time. It’s a good way to get rid of the discomfort of travel. No vaccine before fly: There are some side effects of children’s routine vaccines such as fever, pain, allergy etc. There may be problems with this type of issues during travel. So fix the flight day at least 1 week after vaccinations. Keep extra outfits: Extra outfit is not necessary only for a newborn but needs for toddler also. You can’t imagine how they can destroy their clothes in a new and creative way. So keeping extra outfit is the must during flying with a baby. Snacks are important: Pack some snacks whatever your baby like. Dry snacks, chocolates, cookies, fruits etc can easily carry out. Engage your baby with toys: Take some lightweight toys along with your luggage. 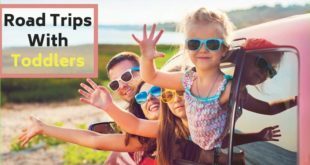 It is the best ideas to divert baby’s mind from travel anxiety. You can match our checklist you have made before flying with a baby with bellow provided list. Then there is no possibility to exclude any emergency goods. If you are going to fly with your baby some common questions may arise on your mind. Here I’ve listed such kind of some common questions with the suitable answer which you may ask. Question: Is ID card necessary for flying with a baby? Answer: ID card can protect you some unexpected situations. Question: Can I fly with my 3-month-old baby? Answer: If there is not any medical issue then you can with proper preparations. Question: What should I take when flying with a baby? Answer: You should make a list of necessary goods of your baby. Question: What should I bring for flying with a newborn? Answer: You should keep the proof of baby’s age because, after 2 years, babies are not allowed to travel on parents lap. Question: What age is safe for flying with a baby? Answer: Most of the airlines will happily allow you baby at the age of only two days. A perfect package of flying with a baby can give you a lot of sweetening memory. Just follow our ultimate guide for flying with a baby and make your journey wonderful. Catch a lot of loveable moment in a frame and share with us.